By making mason bee houses, we further minimize our waste by using every scrap and off-cuts from our clear FSC® certified lumber. Houses are sanded for a smooth finish and can be sealed with tung oil for extra water runoff and longevity. Small key notch in back for easy hanging. Holds approximately 50 tubes. Tubes are not included. 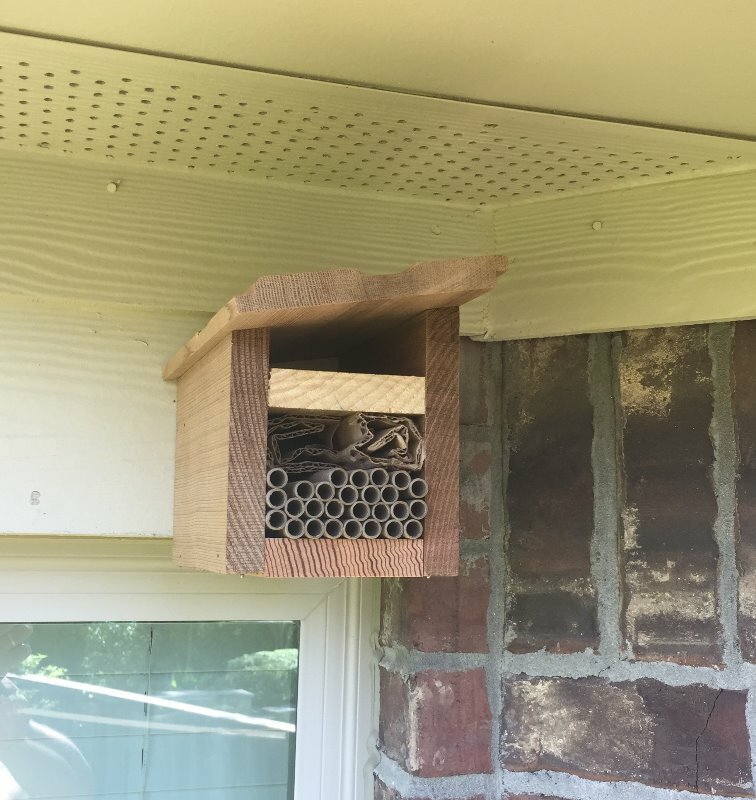 It’s nothing fancy, but this sturdy bee house is perfect for Mason Bee or Leafcutter Bee tubes. I have it installed and am waiting for results. The construction and design is very good. A small sheet that recommends surface treatment would be helpful. This comes all ready put together which is nice. Seems sturdy and well made. No mason bees yet so we shall see if they like it. I ordered this house and a set of tubes and it was shipped very fast. I also got a very nice email from Ed following up on the order. Great customer service. 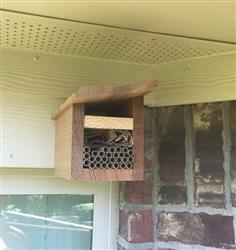 The house is very well built and easy to install, though here in the Texas Gulf Coast we get very strong storms so I drilled the hole through to provide better support. Two suggestions to improve the design. The depth of the house is exactly 6" so when the tubes are inside there's no space left for the bees to rest before entering or exiting the tubes. I'd add half or even a whole inch for a nice launching path. I would also reduce the main house height to make more room for the top to allow for a larger box for the cocoons. I hope I start seeing bees soon. Thanks!